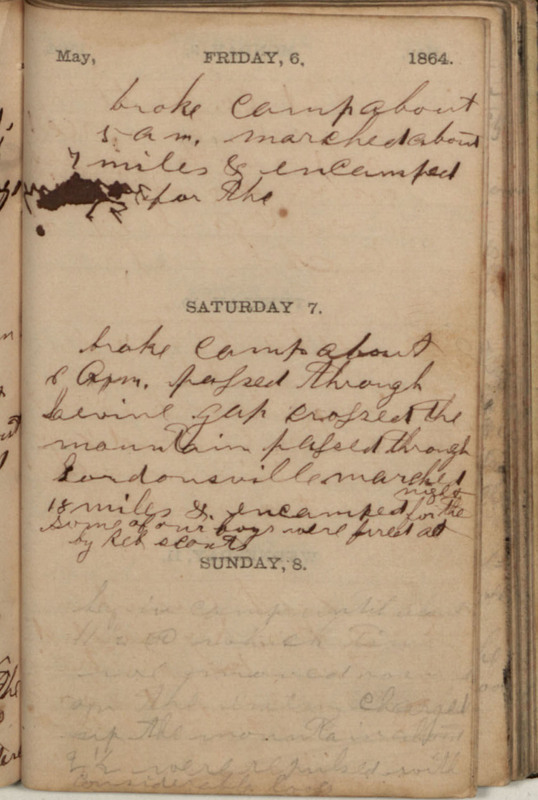 May, FRIDAY, 6, 1864. broke Camp about 5 a m, marched about 7 miles & encamped [?] for the SATURDAY 7. broke Camp about [2?] Am. passed through [Levine?] gap Crossed the mountain passed through Gordonsville marched 18 miles &. encamped for the night Some of our boys were fired at by Reb scouts SUNDAY, 8. lay in Camp until about 11 1/2 at which time [we?